Here is an example of a very simple tune that’s fun to play through. I like to pull this one out when I host jam sessions, though we don’t usually take it at full speed. If you have an eye for such things, you have noticed this lead sheet was created in Finale. I had a computer crash recently and lost a number of files, including my Sibelius program and any ability to edit my old charts in that format. I’m currently teaching myself to use Finale efficiently, and soon will be able to post more detailed arrangements. 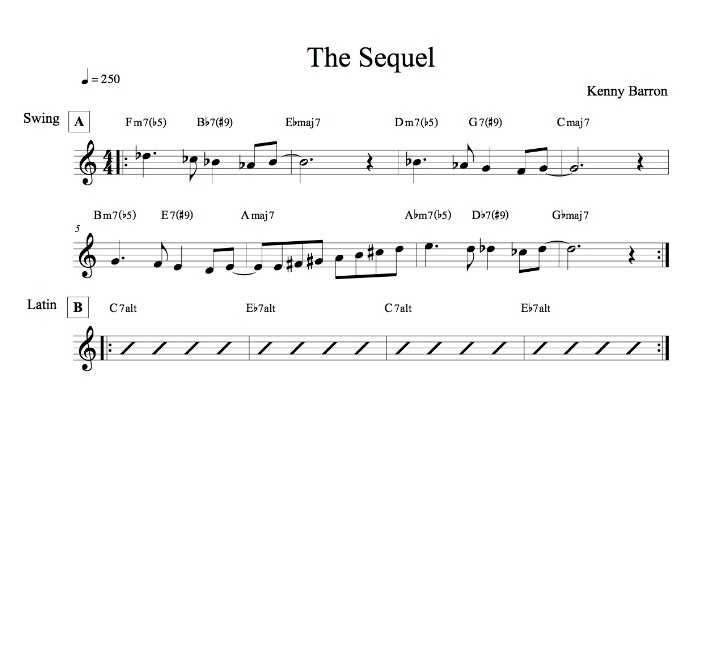 This entry was posted in Uncategorized and tagged jazz, kenny barron, lead sheet, music, Noteheads, Sequel, transcription on August 14, 2013 by noteheads.